Stuff you may want to read or take a look at! 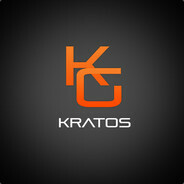 I'm one of the proud founders of Kratos Gaming. The game our community was founded upon was Chivalry, We have expanded our selection to other games, such as Insurgency and CS:GO. To see them all you can visit our group by clicking here! Whilst you're at it, check out our website! [www.kratos-gaming.net] for information on Kratos, if you would like to join, please join our teamspeak or forums and contact either Myself, Kabuki or Kizz.